This past Sunday I took part in the Run Around the Square in Goderich in support of the Dave Mounsey Memorial Fund. After having beautiful weather last week, I was expecting race day to be much the same. It was cold. Really COLD. And rainy and windy too. Even some freezing rain and snow made an appearance too! While the weather was a challenge that morning, some of my coworkers and I still decided to brave the elements in the 5km race. 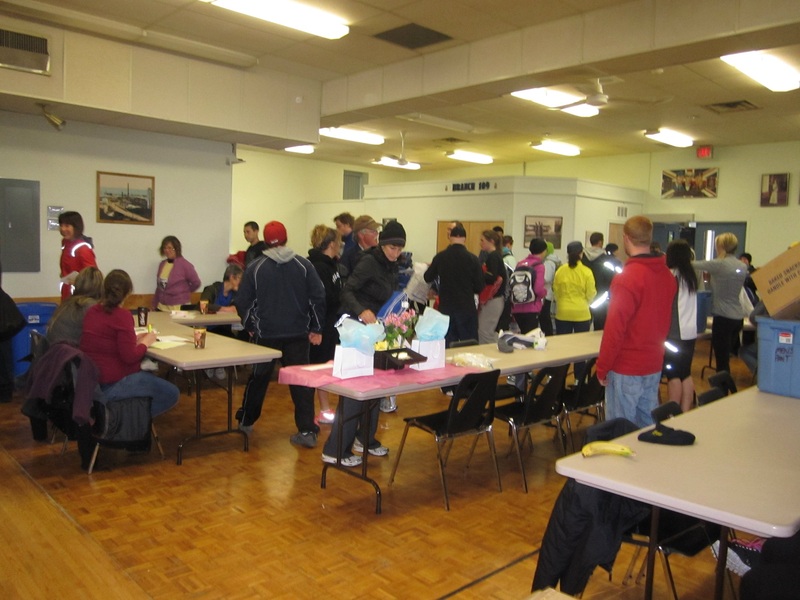 We weren’t the only ones, as there were 418 runners participating in the 5km and 10 km race. Proceeds raised from the run are used to purchase and donate life-saving defibrillators. 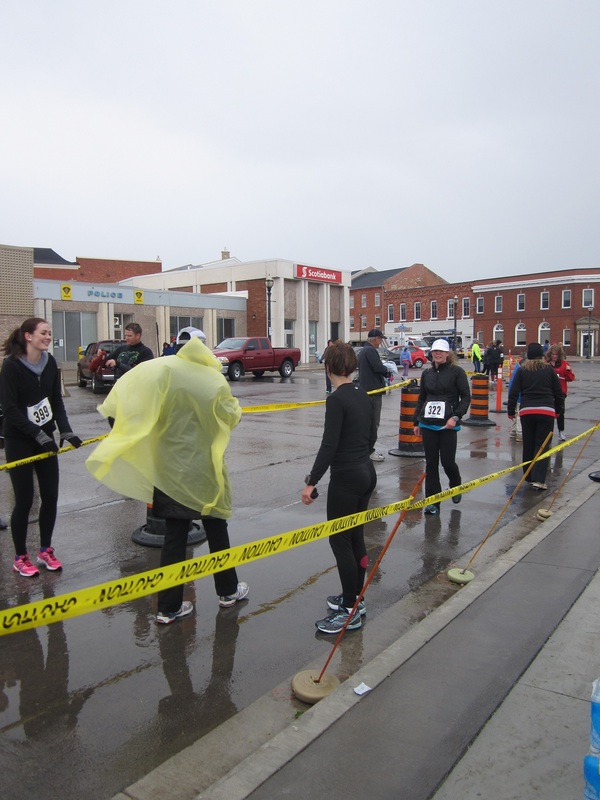 The race started and finished on the historic Goderich square, and wound around some residential blocks nearby. Even though the weather wasn’t the best for a run, it was nice that the route included some scenic views of Lake Huron. What was even more impressive was the huge amount of support from the community. It was obvious that volunteers were an integral part of the event. Even the entire neighbourhood celebrated the event with people cheering along the route: some with signs, some in camping tents shaking maracas to pump up the runners, some standing in the rain at the end of their driveways, and even police officers who were directing traffic took a moment to compliment each runner as they went by. The community support definitely made for a more enjoyable run and inspired me to get to the finish line. 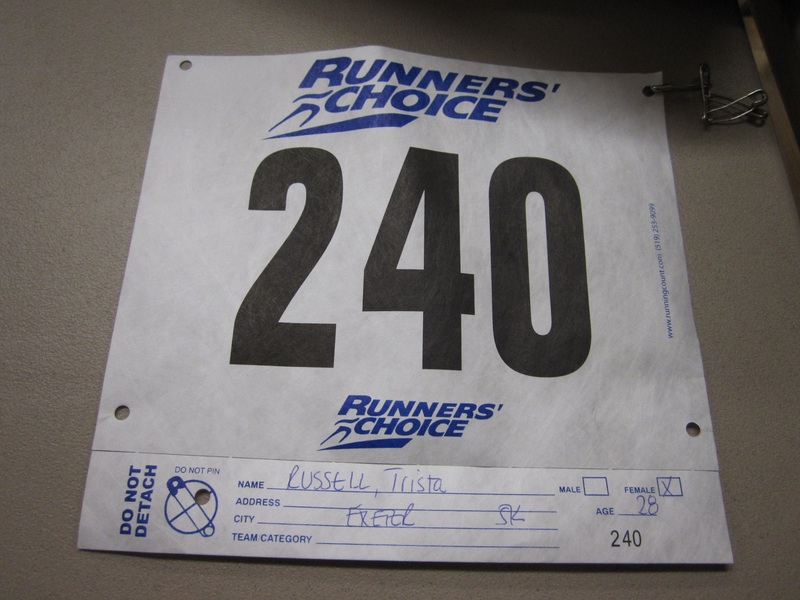 I managed to finish 206th, which may not be impressive, but was a personal best for me. Congrats to all the runners who braved the weather and supported a great cause! 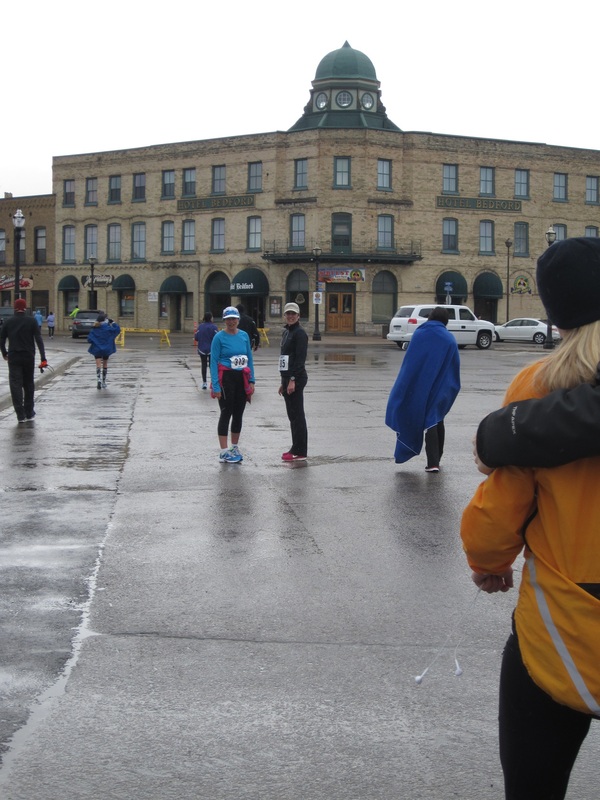 Neither cold nor rain hindered supporters of this Mother’s Day run.